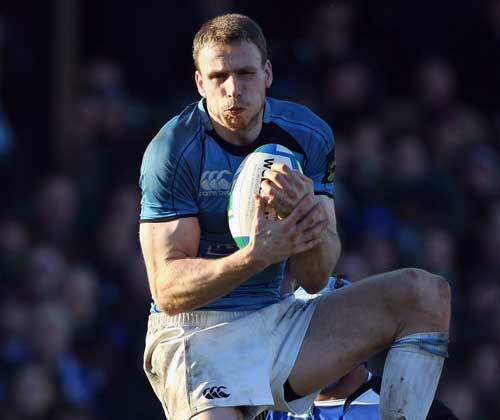 Newcastle Falcons have added depth to their squad by signing Scotland centre Andrew Henderson. The 30-year-old, who has been capped 53 times by his country, joins on an initial short-term contract as cover for the injured Tane Tu'ipulotu after spending the past season at French club Montauban. The Tongan centre will miss the start of the new season as he recovers from a hip operation. And Falcons head coach Alan Tait, himself a former international centre, is delighted to have secured the servives of the former Glasgow centre who started four of Montauban's six European matches and made 14 appearances in the French top flight last season. Tait said: "Andrew is just the type of player we have been after. He is here initially for around six months to cover for the injury to Tane Tu'ipulotu, but naturally we will review the situation after that and potentially look towards a longer term deal if things have gone well. "The situation at Montauban has opened up what has been somewhat of an unexpected opportunity to get Andrew on board, and with Tane Tu'ipulotu out injured it's really a perfect solution for us." Asked what Henderson will add to the team, Tait said: "He knows what it is all about at the top level, he's an incredibly consistent performer and just the sort of guy who will bring out the best in the players around him. "I know him extremely well from our time together with Scotland, and he has one of the best offloading games I have ever seen. I know his strengths and his character first hand, and he can definitely add a lot to what we have here already. He will get us over the gain line, look to link up with the players around him and contribute a lot in defence, which are all important areas for us." Henderson joins countryman Ally Hogg as one of the Falcons' 12 new recruits for the coming season.